Since 1930, Britain has lost a staggering 97 per cent of its traditional meadows. Step forward the new wild garden movement which amateur gardener and best-selling author Tania Pascoe has spent the last five years documenting. 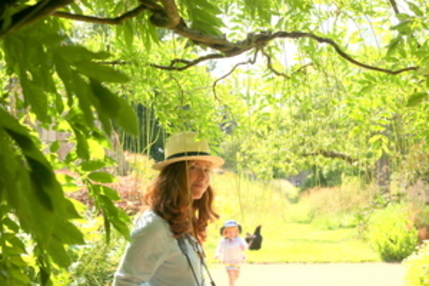 She brings a passion for nature, biodiversity and food to the Garden Museum and shares some of her favourite secret gardens, wild flower meadows, kitchen garden cafes and places to stay across the UK. What are the best dining options near Wild Gardens London? Wild Gardens gyms, sporting activities, health & beauty and fitness. The best pubs near London Wild Gardens. Wild Gardens clubs, bars, cabaret nights, casinos and interesting nightlife. Where to have your meeting, conference, exhibition, private dining or training course near Wild Gardens. From cheap budget places to stay to luxury 5 star hotels see our special offers for Garden Museum hotels, including DoubleTree by Hilton Hotel Westminster from 81% off.